The Sand Scarab is a reward from the Sand Scarab WoW TCG Loot Card from the Tomb of the Forgotten WoW TCG expansion. It teaches you how to summon a skittering little Sand Scarab beetle pet. 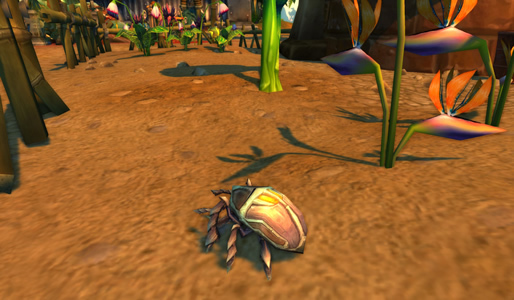 The Sand Scarab uses the same model as the scarab beetles found in Zul'Farrak. The Sand Scarab Loot Card is from the Tomb of the Forgotten Expansion Set. Tomb of the Forgotten booster boxes go for around $90.00 each on ebay and contain 24 booster packs. 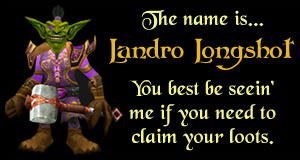 The average cost to obtain this rare loot card would be about $40.00, but you can grab one off ebay for a fraction of that price! Sand Scarab Loot Cards can usually be purchased on ebay for around $6-$8.